Omega-3s refer to healthy unsaturated fatty acids naturally occurring in marine life, nuts, and some other foods. Since the 1930s these fats, specifically DHA and EPA - the two essential omega-3 fatty acids found in marine life, have been considered an essential supplement for vibrant cardiovascular health. DHA is naturally abundant in human tissue. In fact, the gray matter of our brain is largely composed of DHA. It makes up 85% of the omega-3s in our bodies, and is considered important for supporting brain, eye, and overall health. EPA, on the other hand, has been shown to support mood, skin and immune health. Depending on your health goals, you may consider supplementing with either more DHA or EPA however for maintaining heart and overall health both EPA and DHA are recommended. Supplementing a nutritious diet with purified omega-3s from marine life helps to support healthy triglyceride levels, which correlates with improved heart health. 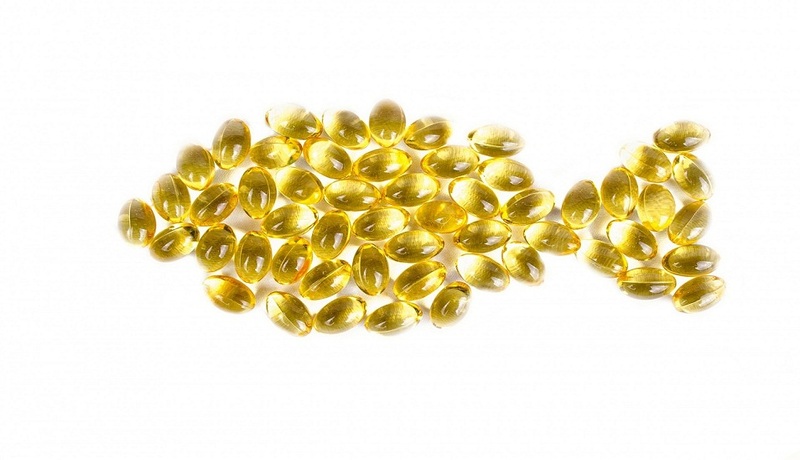 All in all there is an astounding array of physical, mental and emotional benefits conferred by omega-3 supplementation. Omega-3 fats nourish the cells of the skin, hair, nerves, brain, heart, and virtually all of the tissues and organs. You are what you eat. This overused cliché is literally true when we are talking about the type of fats we consume. The membranes of the cells throughout your body are mostly composed of lipids (fats). Omega-3 fats were plentiful in our natural food chain. Countless generations before us ate a high omega-3 diet of wild game, leafy greens, nuts, and especially fish. Unfortunately, modern food manufacturers have squeezed the omega-3s out of our diet and replaced them with harmful saturated and trans fats. Salmon swimming in the frigid waters of the Arctic Ocean are perfectly soft and supple even though their body temperature is just a few degrees above freezing because the lipids in their cell membranes are mostly omega-3 fats. These fats remain liquid even down to temperatures below the freezing point of water (32 degrees Fahrenheit). Imagine you raised these fish in a warm farm pond in Florida and fed them nothing but French fries, stick margarine, doughnuts, and other foods high in trans fats. If you then transported them to the Arctic, upon release they would be transformed to the rigid consistency of a stick of margarine floating in ice water. When you eat a diet high in these lipids your cell membranes become stiff and dysfunctional. You may not notice the hardening as dramatically as the salmon in our story because you have the advantage of being warm-blooded. But the type of fat incorporated into your cell membranes profoundly affects your tissues, especially the electrically sensitive ones like your brain, eyes, and heart. To support healthy tissues, provide them with the preferred fats to incorporate into their cell membranes. Over the past several decades, omega-3 essential fatty acids have been demonstrated to provide health benefits in multiple settings for many types of individuals. New studies are continually conducted, thus furthering our understanding of who is most likely to benefit from this nutrient.